Jen is back and ready to rumble with Mr. Jones... well, actually with Adele. Your favorite podcasting duo shoot the breeze about the newest Fringe episode, In Which We Meet Mr. Jones. If you have a comment or question for Adele & Jen, you can email them at fringedwellers@gmail.com. You can also leave a voicemail for them at (206) 333-0072, or reach them on Twitter as fringedwellers, or Facebook as Gene the Cow Worshippers. 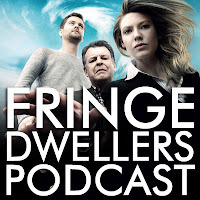 You can also listen to other Fringe podcasts over at the Fringe Podcast Network.